The Samsung Galaxy family is now bigger than ever with the launch of the elegant Galaxy S10e, S10 and S10+. Samsung’s new models are dropping on 8 March 2019, and they’re not cheap, so you better make sure you’re getting the very best value for your money. We’ve picked out some of the best contract and Sim-only deals for Samsung’s new phones. To help you make sense of other deals you might find for this or any other smartphone, we’ve built the Which? phone contract calculator. Keep scrolling to take our free phone-contract tool for a spin, and take a look our hand-picked deals to see if any take your fancy. One of the biggest questions you should be asking when buying a new phone is, contract or Sim-free? You could save hundreds by making the right choice. If you’ve spotted a smartphone deal that you like the look of, enter a few details into our calculator and we’ll work out the best way to buy, and how much you could save. 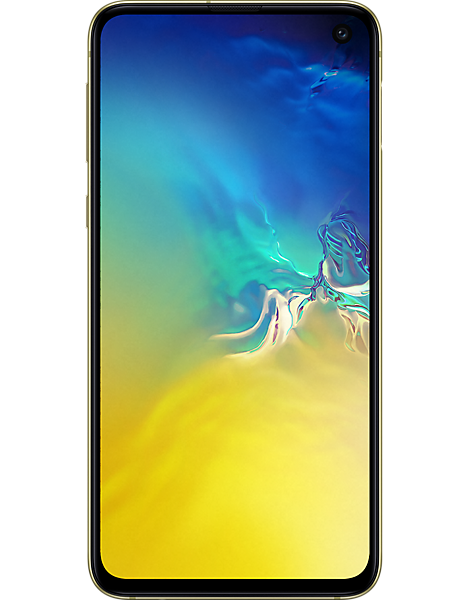 The S10e is the cheapest of the trio of new Galaxy mobiles, equipped with a 5.8-inch Full HD+ AMOLED display. Take a look at the latest deals below. 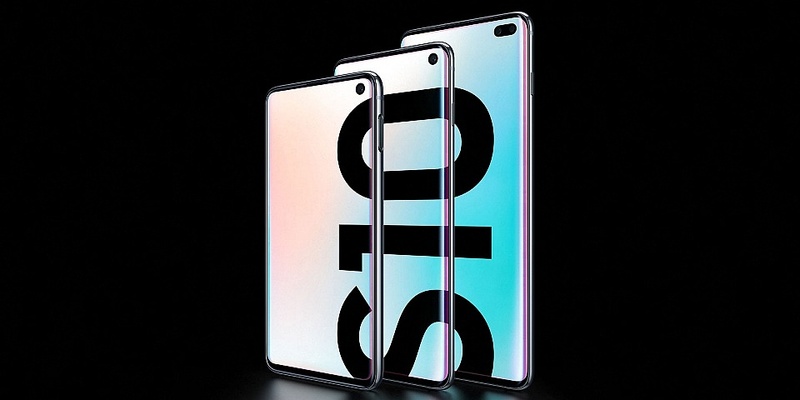 At the time of writing you can pick up a Sim-free Samsung Galaxy S10e for £669 on pre-order. 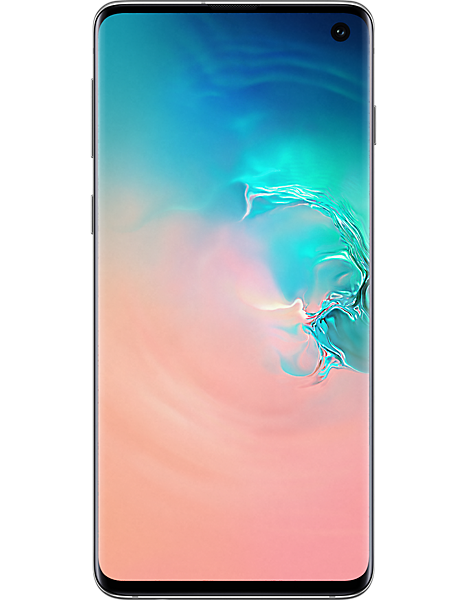 That price is on show on Samsung’s official website, and at Carphone Warehouse, Affordable Mobiles and Mobile Phones Direct. Following in the footsteps of last year’s premium Galaxy S9, the S10 serves up a couple of upgrades. It has a larger screen (6.1-inches compared with 5.8 inches), a triple camera setup and an under-display fingerprint sensor. The Samsung Galaxy S10 costs £799 Sim-free. If you pre-order a Sim-free Samsung Galaxy S10, you’ll be able to claim a free pair of wireless Galaxy Buds (worth around £140) free of charge. The offer is available from Samsung’s own website and other online retailers including Carphone Warehouse and Currys PC World. The priciest S10 model, the Galaxy S10+, has the largest screen of the lot at 6.4-inches. That screen is backed up by a 4,100mAh battery, which we’ll be putting to the test for ourselves as soon as possible. Unlike its cheaper siblings, the S10+ has a dual selfie camera. Like the S10, the S10+ comes bundled with the Galaxy Buds if you go Sim-free. For now, that means coughing up a hefty £899. Got an eye for a bargain? Browse the best deals on Sim-free mobile phones for more. 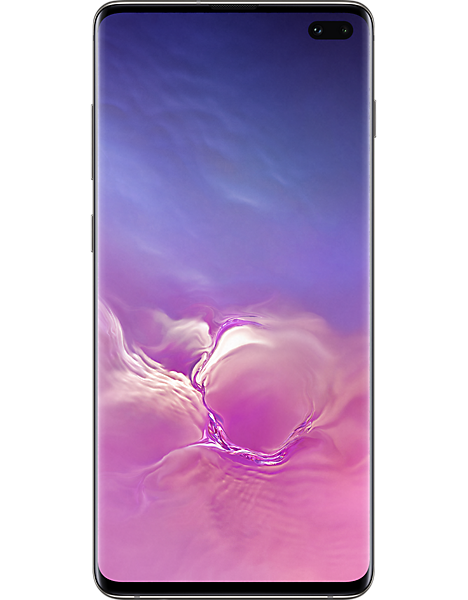 How can I save money on the Samsung Galaxy S10 range? 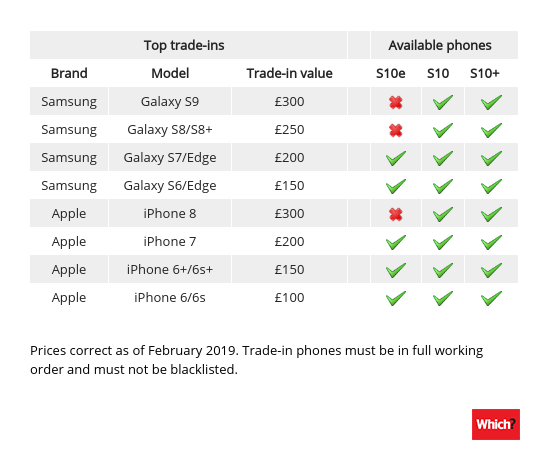 Alternatively, many high street retailers now offer trade-in for old phones, and it’s good practice to do some research online and gather quotes from multiple websites. Of course, the price you’re offered will be dependent on the physical quality of the phone you’re handing in. For more details, see our expert advice on second-hand and refurbished smartphones.